Four candy octopuses! 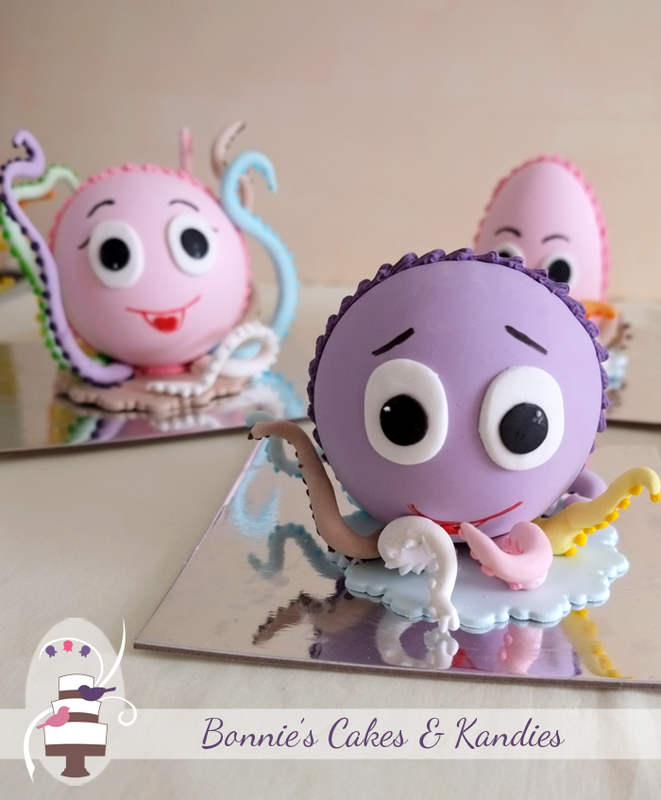 No, I haven’t started selling seafood, and it’s certainly not time for Easter eggs to be out on the shelves, but I did recently create four cartoon-like candy octopuses for a special order. 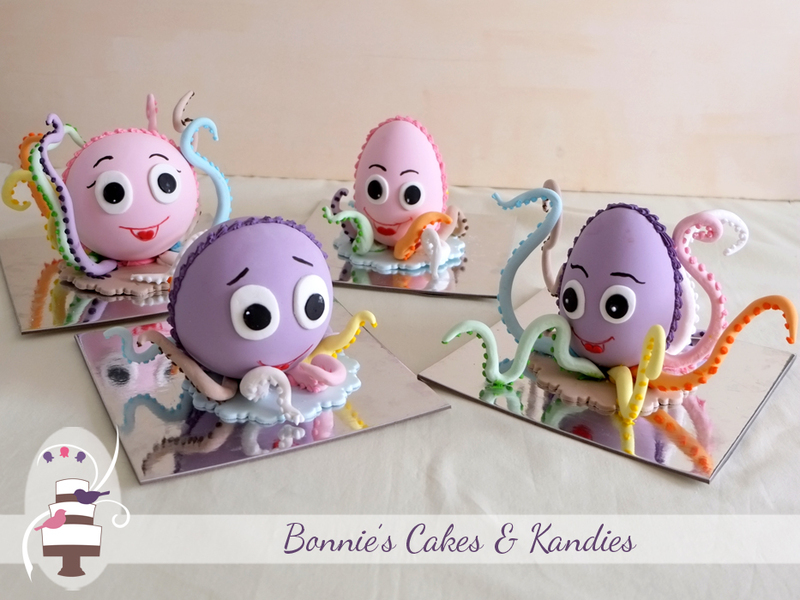 My wonderful customer knew that his girlfriend enjoyed my candy eggs and asked if I could create four candy octopuses as a special surprise present for her! 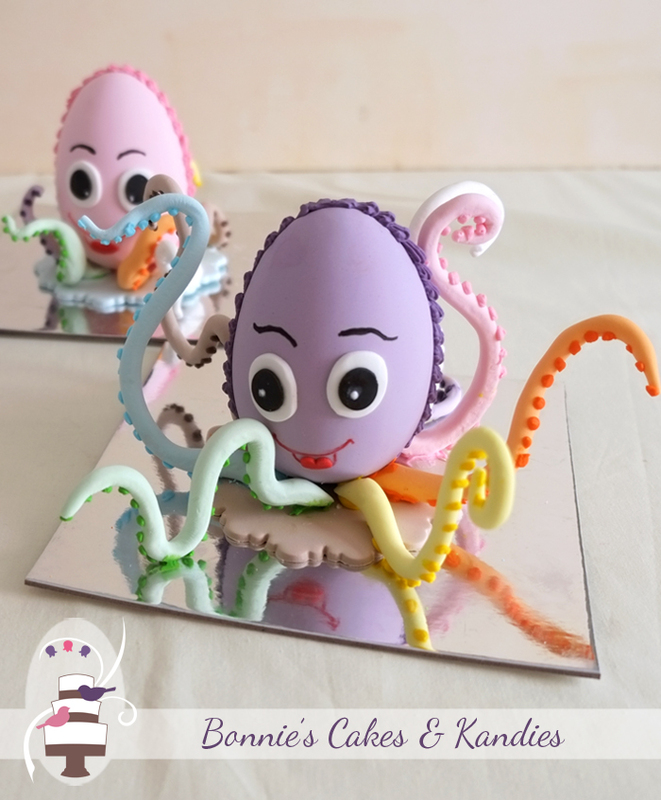 I can honestly say that I’d never thought about making an octopus out of my candy egg fondant before. 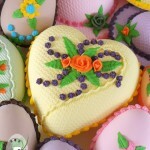 I make all of my fondant by hand, though, so I knew there was absolutely no reason why this couldn’t be done! With each octopus having eight tentacles, I was able to use all of my eight signature flavours on each one. 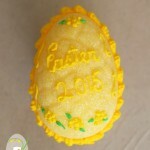 I used two different shapes for the bodies – one longer and more egg-shaped, and the other round. 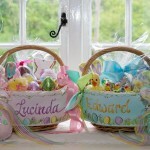 The choice of colour/flavour for the bodies was easily decided on as the recipient’s two favourite flavours from my range – aniseed and musk. I made two octopuses with long, curling tentacles, and the other two with shorter tentacles. I really enjoyed the variation and how they all turned out. 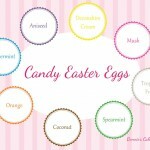 This was such a fun order to complete and so wonderful to do something so different with my candy egg fondant! I’m happy to say that the octopuses themselves were well-received, and I can’t wait to work on a few other projects that have been inspired by this order. Thanks for reading!